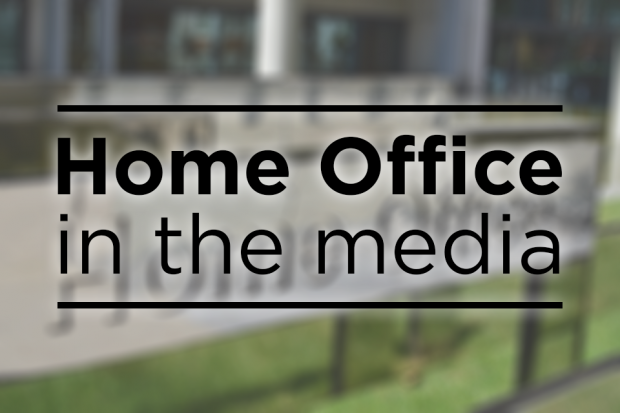 Today’s Home Office-related coverage includes conditions at asylum seeker accommodation, and international students and the net migration target. The Guardian carries a story about the conditions of some homes being used to accomodate people seeking asylum. The paper reports various claims by interviewees about the accommodation being provided, such as mold, damp, mice problems, broken fixtures and fittings, as well as issues with getting the problems resolved. The full Home Office statement can be found below. The UK has a proud history of granting asylum to those who need it and asylum seekers who would otherwise be destitute are provided with free accommodation while applications are considered. It is the responsibility of our COMPASS contractors to provide accommodation that is safe, habitable, fit for purpose and adequately equipped to meet the requirements of the Housing Act 2004 and the Decent Homes Standard. We demand the highest standards from our contractors and their accommodation and monitor them closely to ensure this is maintained. We take every effort to inspect all asylum accommodation on a regular basis to ensure that it meets the required standard and that asylum seekers are treated with respect. The Times, Financial Times and the Today Programme carry reports on a piece of research by think tank the Higher Education Policy Institute on international students. The outlets report that the think tank has estimated that international students bring benefits of £22 billion to the UK economy each year. The papers also report on calls for the Government to remove international students from net migration statistics. A Home Office comment can be found below. There is no limit to the number of genuine international students that can come to the UK to study and we very much value the contribution that they make. We have commissioned the Migration Advisory Committee (MAC) to provide an objective assessment of the impact of EU and non-EU students. This provides an important opportunity for the sector to share evidence, and the MAC’s independent advice will help inform decisions on the future migration system. We have no plans to take international students out of the net migration figures. Including them does not act to the detriment of students or the education sector and since 2010 we have seen the number of student visas increase by 24 per cent.